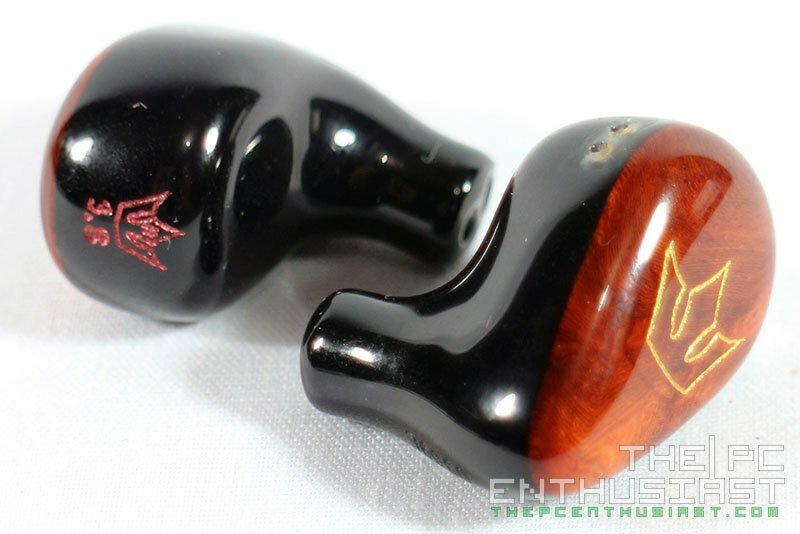 In Ear Monitors manufacturers have become very creative and artistic these past few years. 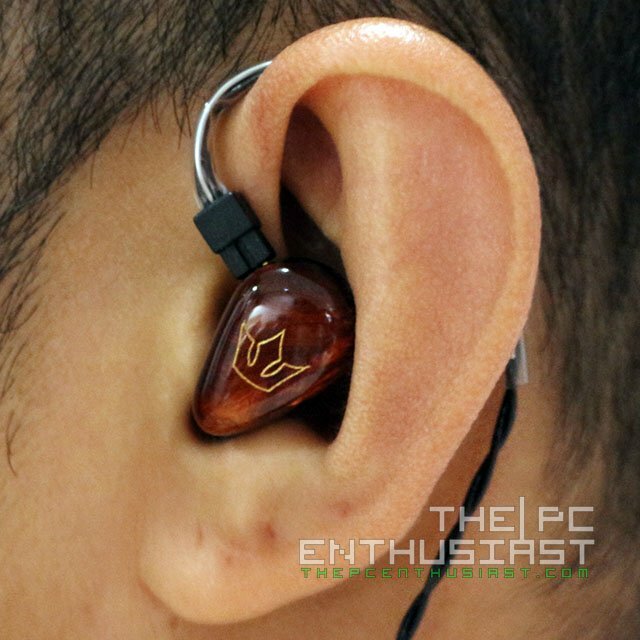 A couple of years ago, Heir Audio introduced a line of in-ear monitor headphones featuring Burl Wood face plate which became very popular. It offered not only great looks and style but also great performance and value for money as well. Today we are going to take a look at the Heir Audio 3.Ai S in-ear monitor headphone, featuring triple balanced armature drivers. The 3.Ai S is basically tuned to be sonically fun, rather than analytical, and has a warm sound signature with great clarity and accuracy. This isn’t the company’s latest creation. 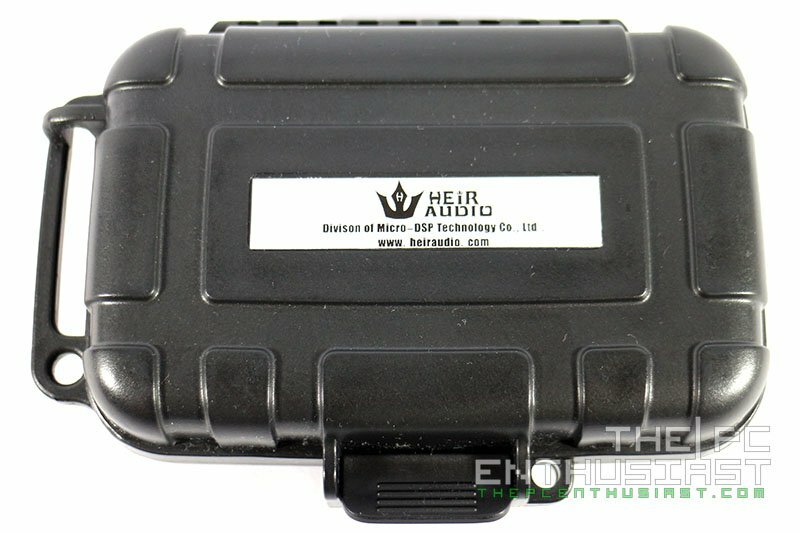 Heir Audio recently released the Heir 10.A which is definitely geared towards for those who are looking for more. 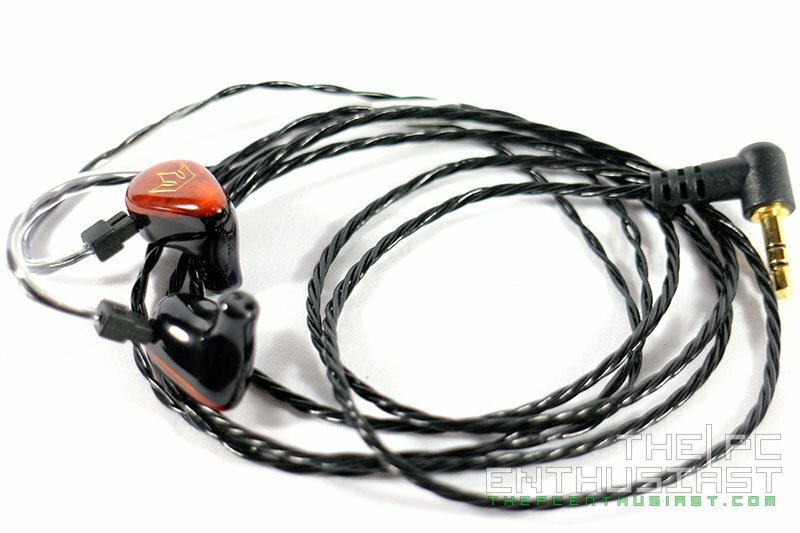 But for those who are just starting with Balanced Armature IEMs, and who are not yet ready to spend a thousand bucks or get a customized fit, the Heir Audio 3.Ai S is a good placed to start. 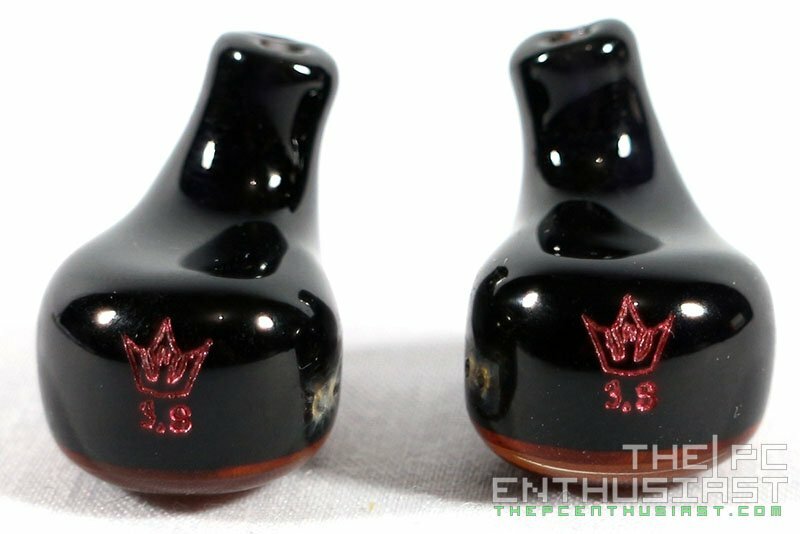 Let’s get to know more about this IEM in my review below. The Heir Audio 3.Ai S basically features 3 precision tuned balanced armature drivers. One driver dedicated for the low frequency, another one for the middle frequency and one for the high frequency. Basically, each frequency has its own driver. 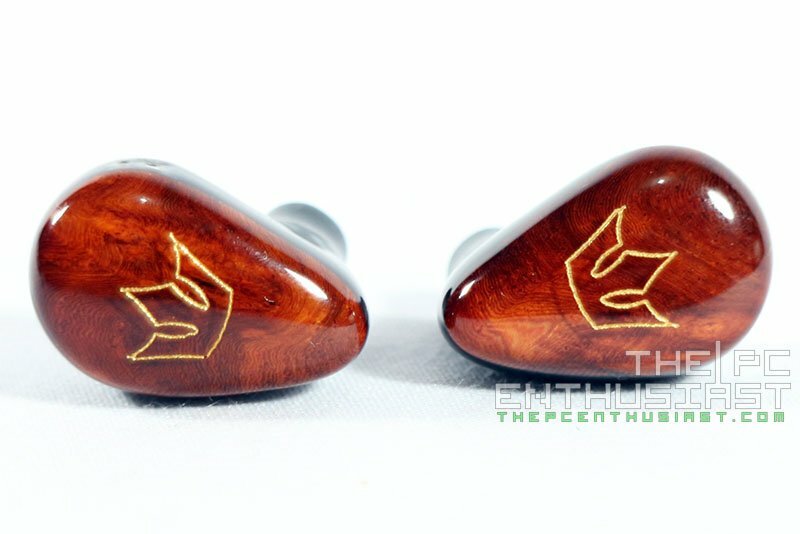 Its shell is made by hand, like all other Heir Audio custom IEMs, and features a Burl Wood face plate. Of course you may opt to change the design of the face plate, and the engraving as well. The shell is actually not that big, making it a good fit for smaller ears as well. It has a dual bore design, meaning there are two holes on the nozzle of the shell. It has a good amount of noise isolation, at around -26dB and the headphone itself has an impedance of around 25 ohms. This means that it’s very easy to drive, amplifier is not required (but you may use if desired), and will work on any type of player or source. I’ll discuss more of its features as we take a closer look at the Heir Audio 3.Ai S below. The Heir Audio 3.Ai S didn’t came with a fancy box. But the package was very secure and the casing was covered with a sleeve like the one you see above. Above is the crush proof carrying case Heir Audio is using. It’s a very sturdy case and I’ve thrown the case several times to see how hard it is. I haven’t actually thrown them really high or really hard. Just a note, the lock is actually removable. So far it has survived my drop and throw test. I thought I damaged the lock while testing the strength of the case. Later I found out that the lock was not broken and it’s removable. Open the case and simply slide the lock upwards to remove it. 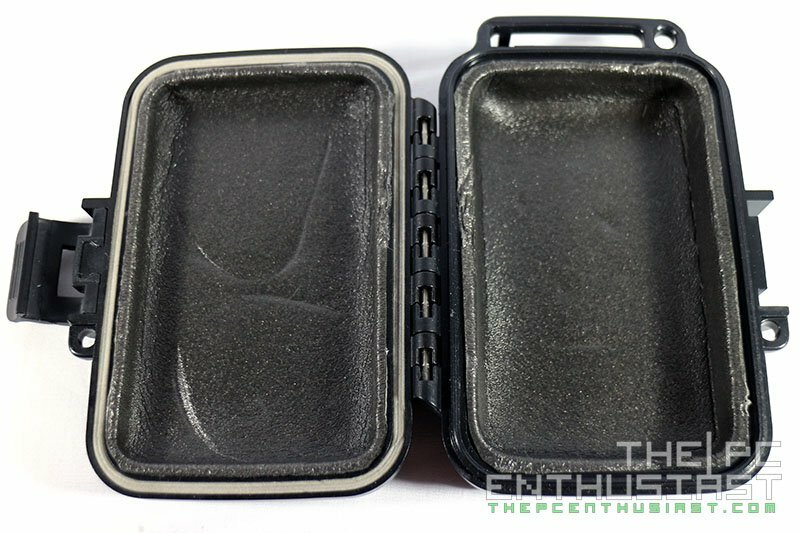 There is a layer of foam inside the carrying case that protects and cushions the IEM. 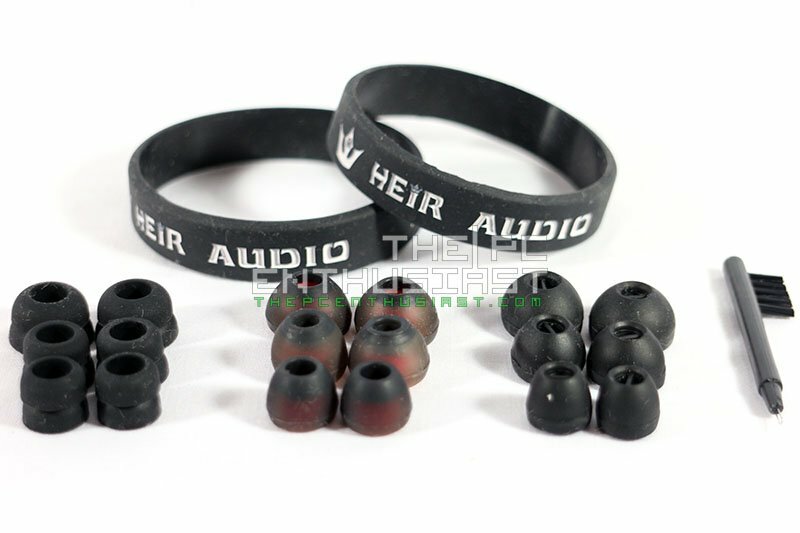 Aside from the Heir Audio 3.Ai S, the package also includes rubber bands, a cleaning tool, and three different silicone tips in three different sizes (small, medium, large). The Heir Audio 3.Ai S, like most of the company’s IEMs, uses the popular 2 pin connector. The included cable consists of four lines, two for each channel, and is braided neatly. The included cable is pretty much standard. If you want a better sounding cable or if you are looking for a particular sound signature or design, you can upgrade the cable with something better, like the Heir Audio Magnus 1. Here’s a close up look on the shell of the 3.Ai S. By default, it has that nice Burl Wood faceplate. I’m not really sure if you can choose your own faceplate but you can certainly request for an engraving. On the rear portion, you will see a small crown with 3.S underneath. This basically tells what model is the IEM. Heir Audio’s naming scheme is very easy to understand. 3.Ai S means it has 3 balanced armature drivers, and the 4.Ai S means that it has four and so on. The first photo (on the left) shows you where the two pin connector goes in. Although there are no locks to secure the connection, the connector doesn’t come off easily. Just be sure to use a high quality connector a well, in case you are getting one from a third party cable manufacturer. You can also see two holes on the nozzle of the shell. There is also a unique serial number engraved on the side of each pair, near the nozzle, for identification purposes. That serial number is unique to the purchaser so you can actually trace who the owner is in case it gets lost or stolen then sold in an online buy and sell site. Unfortunately the serial number is not clear from the photos above. The Heir Audio 3.Ai S doesn’t have a very tiny footprint, but it is small enough to fit into most type of ears. 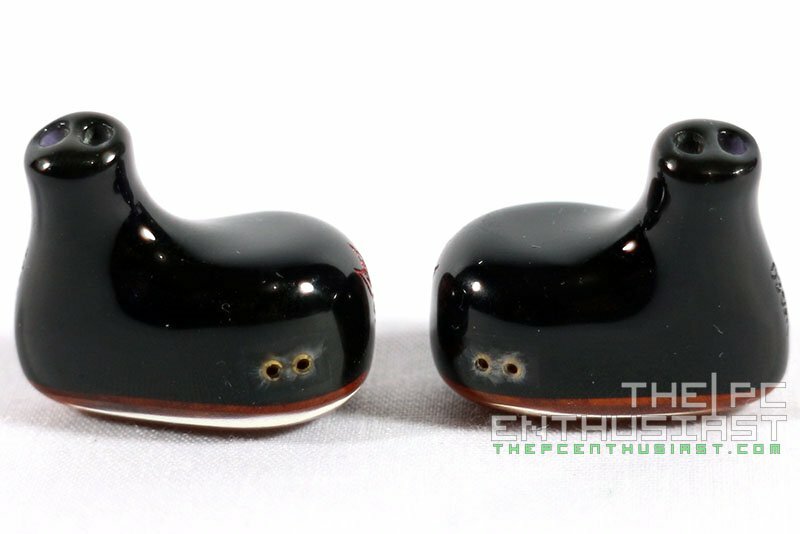 The problem with some IEMs that have larger housing is people have difficulty fitting it in, specially if they have smaller ears. 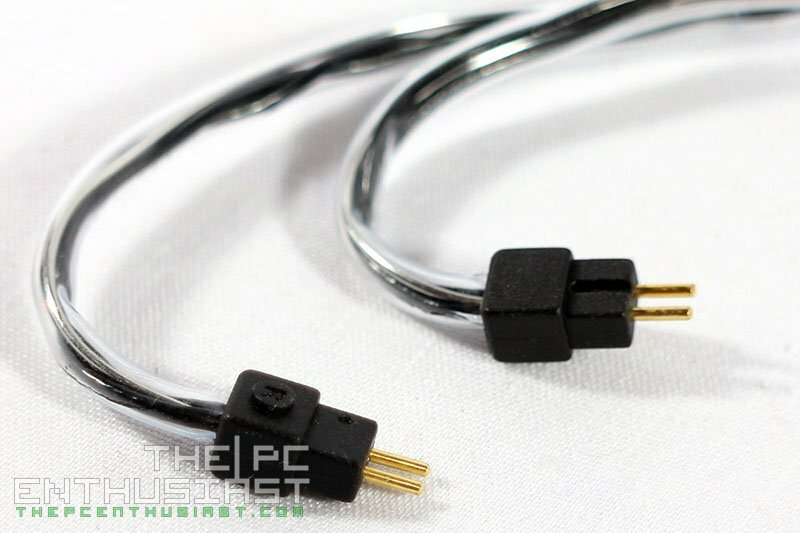 Also, since the connector is located above, it’s best to avoid using the IEM if it’s raining or if there is heavy moisture. A single drop of water that accidentally went in between the connector may ruin the IEM. For a universal IEM, fit is very important. It would greatly affect the sound quality and your experience while using the IEM. 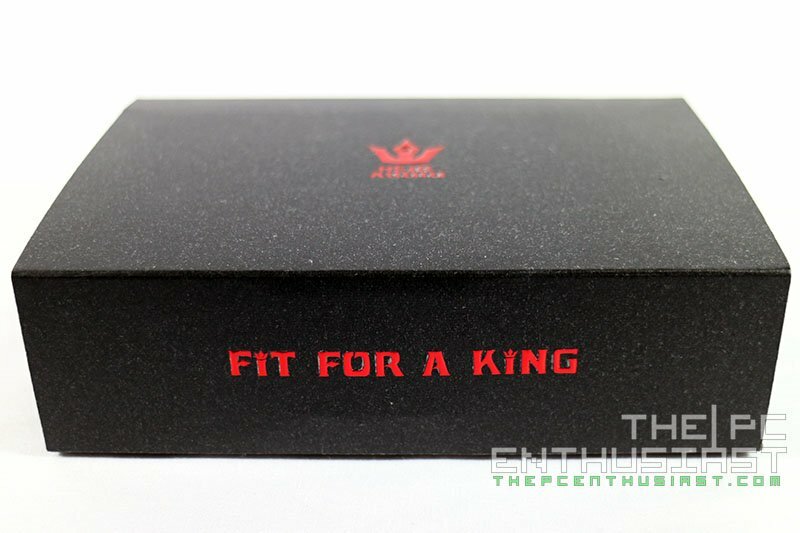 Fortunately, size isn’t a problem with the Heir Audio 3.Ai S. But since they offered a limited silicone tips, you might need to buy additional tips or use your favorite one. In my case, the included medium tips with Blue highlight would fit my ears. But later I used another silicone tip, the one that came with the UE 900s, since it provide a better fit and seal for me. I have been using the Heir Audio 3.Ai S for more than a month, almost two months to be exact. I started taking notes regarding its sound quality after a month, just to be sure that it has already reached its best performing state. Throughout the course of auditioning the 3.Ai S, I have been using several sources, like the Hidizs AP100, HIFIMAN HM-700, iPhone 5 and even my desktop PC. 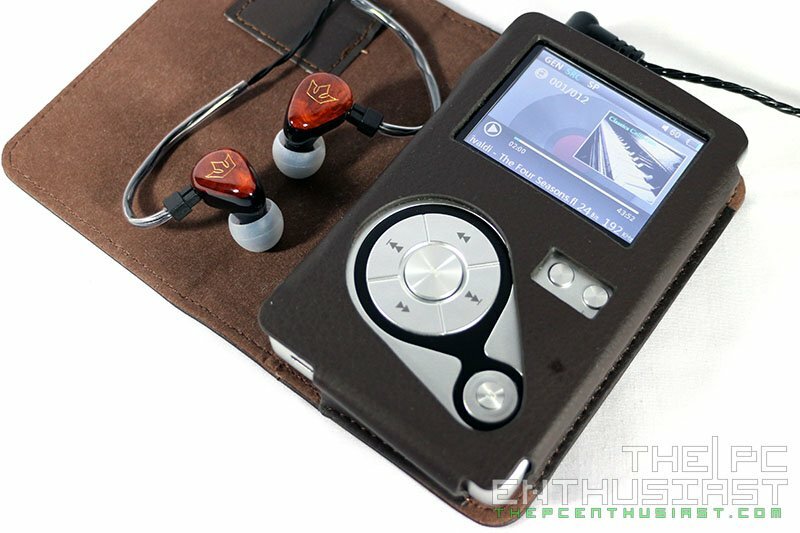 I used several DAC/AMPs like the Encore mDAC, iFi Nano iDSD and the Objective2+ODAC from JDS Labs. I also used the 3.Ai S and explored different types and genres of music; from heavy metal, pop, instrumental, vocal, etc, and to classical music. If you haven’t tried any other IEM with more than one balanced armature driver, or you are used to earphones built with dynamic drivers (not the high end type) and around $100-ish and below, I’m sure you will be surprised and amazed with the sound quality of the 3.Ai S. You will experience your favorite music better and hear more sounds with better detail and clarity than before. Basically, the Heir Audio 3.Ai S has a warm signature. It has a larger bass driver that gives rich and well defined bass. The bass is not actually punchy or boomy, but it will produce a good amount of impact specially if the music will try to force it out artificially. Bass sounds even better specially when produced naturally, like coming from a bass guitar, a Cello or a bass drum. It’s very much present but never dominant and doesn’t over power the higher frequencies. Bassheads might not be satisfied with this kind of sound signature. But for the rest of us, it will be enough. Mids and highs are exceptionally clear and detailed, without over powering the bass as well. Each frequency simply compliments each other. And if you are looking for that sparkle, the 3.Ai S won’t disappoint you. Vocals are very nice to listen and I think this is one of the strong points of the 3.Ai S. The highs doesn’t seem to be extended too much, but there are some music where the TSS and TZZ sounds, or the sound of the cymbals may be a little bit harsh or near sibilant. However, this may be remedied if you use a better sounding cable, like the Magnus 1. In my case, I used the Linum 2Pin MUSIC cable from Estron. When I compared the Heir Audio 3.Ai S with the Audio Technica ATH-IM02, the 3.Ai S is generally better sounding for me. It’s clearer and warmer than the ATH-IM02. The ATH-IM02 is basically geared towards being an analytical type of IEM, while the 3.Ai S is geared towards having a fun sound signature. When I compared the 3.Ai S with the Ultimate Ears 900s, which has four balanced armature drivers, the UE900S has the advantage when it comes to detail, layering and sound staging. But for me, the vocals don’t sound as good as the 3.Ai S and it’s a bit darker as well. 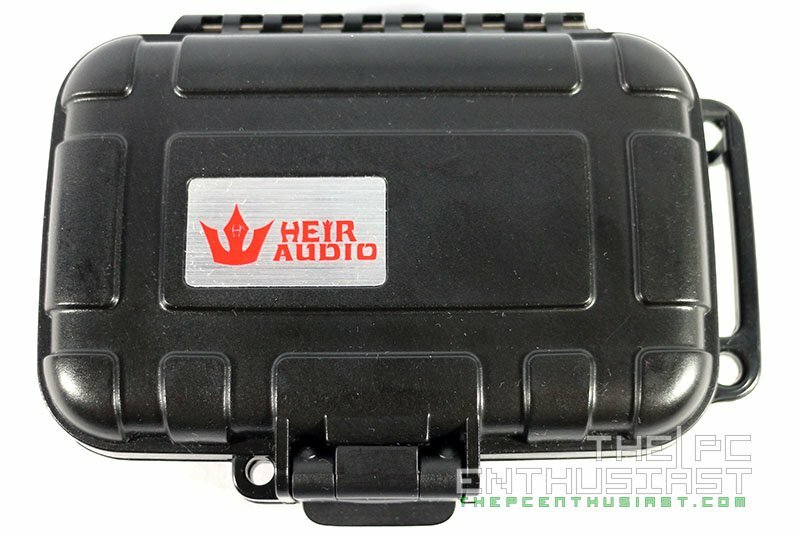 The Heir Audio 3.Ai S has a retail price of $299 and comes with a 2 year warranty. In the US, there are third party online music stores selling the 3.Ai S, but I would recommend that you buy them directly from Heir Audio’s online store here. They also have an Heir Audio USA Shipping Center. For other countries check out their Contact page here. Buying the IEMs directly from the manufacturer is better since you get better support and you will have more options to choose from, including add-on accessories and customizations. I find the Heir Audio 3.Ai S an impressive in-ear monitor, with a clear, detailed and warm sound signature. If this is your first time to invest into something better than your typical earphones or in-ear headphones, the 3.Ai S would be a really good place to start. This is a fun sounding IEM, with clarity being its forte. The bass is present, controlled, rich and not overwhelming. I think you can safely traverse from one genre to another, like what I did. But I personally enjoy the 3.Ai S with classical music, instrumental, acoustics, and vocals. Build quality, overall I wouldn’t say that its shell is indestructible and can survive a fall or scratch proof. I haven’t tried dropping them as I take extra care handling IEMs. But, aside from being shiny and having an attractive Burl Wood faceplate, the shell itself feels solid and premium. Regarding the fit, the shell is neither too small nor too big, but you have to make sure you get that right seal and fit. Otherwise you might find its sound lacking in bass or too sibilant, or probably muffled as well. 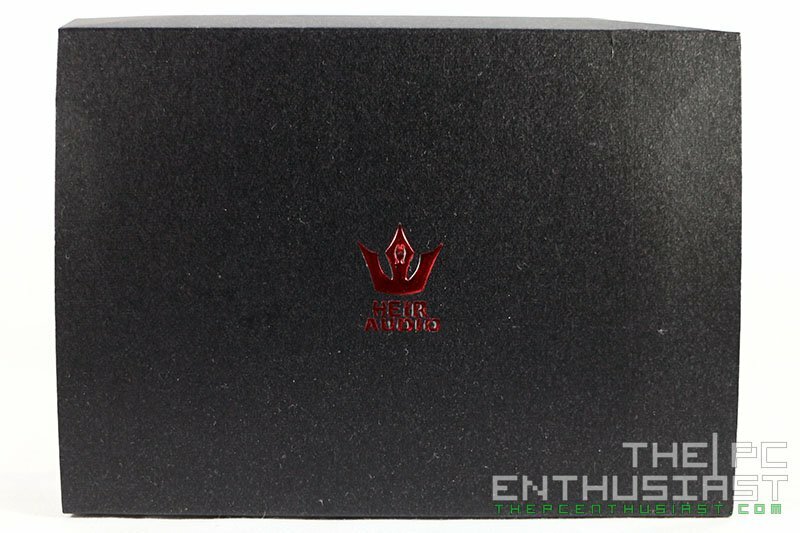 Considering its price, looks, build quality and sonic performance, I say the Heir Audio 3.Ai S is a sure winner in its category and price range. If you have the extra money, I would recommend you go for the custom fit version, 3.A S. They are basically the same, but custom fits are always better than universal ones, since you get that perfect fit and seal. 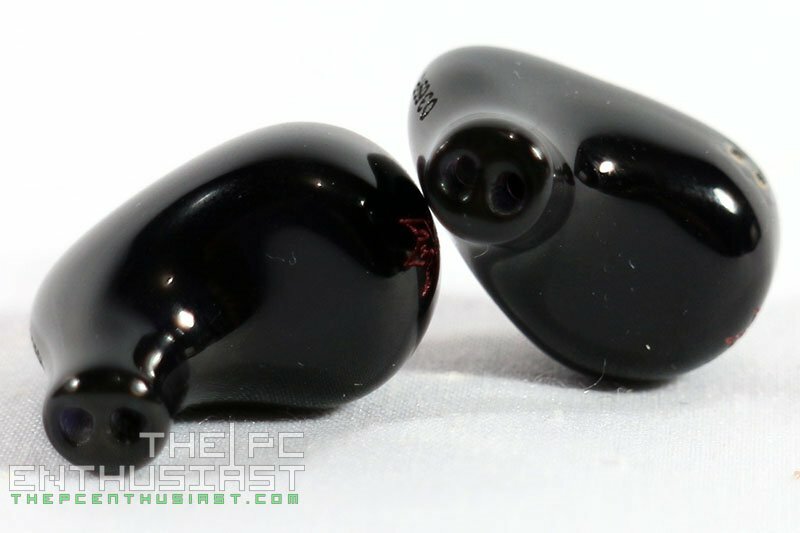 This is a highly recommend IEM specially if your budget is just around the $300 mark. For me the Heir Audio 3.Ai S deserves The PC Enthusiast’s highly recommended award without a doubt. How is it compared to dunu dn 1000? Hi! I haven’t auditioned the DN 1000 yet. So I can’t comment on that matter. However, I was able to try the DN-2000 which is said to be less bassy compared to the DN1000. Mids and highs in the 3.Ai S are better than the DN-2000 though. With highs a tad extended (nearing sibilance at times). Hi nimnz, what kind of information did you get from other reviews? Can you be a more specific? Kindly explain further so that I can help you at least. Each reviewer has his/her subjective opinion so his/her experience might not be the same with mine.